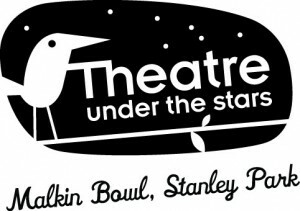 Theatre Under the Stars (“TUTS”) returns to the historic Malkin Bowl at Stanley Park for a new summer season of musicals. In one of the most beautiful venues in the city, you can enjoy two shows this season under the cool canopy in Stanley Park. Legally Blonde: The Musical and SHREK: The Musical are on now (alternating nights) until August 23, 2014 and thanks to TUTS, I have a pair of tickets to give away to each, starting with Legally Blonde. Pretty-in-pink princess Elle Woods can handle anything. When her boyfriend, Warner, breaks her heart and dumps her, she decides to follow him to Harvard Law School and win him back. With some help from her new-found friends and her chihuahua Bruiser, she learns that it’s so much better to be smart than pretty. Full of irresistible song and dance, this blonde-tastic musical was the hit of 2013! Tickets are available now for $20 to $45. VIP experiences are also available for groups. All shows start at 8:00pm except on fireworks nights (July 26, July 30, August 2) when they will begin at 7:00pm. While the sun is shining and temperatures are high, it does cool off quite a bit at night. You can bring blankets in or light jacket like a hoodie for after the show. You can also pick up some seat cushions on site (by donation) for comfort as the seats are just plastic patio furniture. You are in the middle of a sloped grassy field in the park so an application of bug spray is recommended. Dress is casual, I even saw some sweatpants last night, but I’d say jeans are fine. Just past the entrance there is a “TUTS Museum” with programs, posters, and costumers from decades of TUTS at Malkin Bowl. It’s worth browsing around to get a sense of the history of this Vancouver institution. I will draw one winner next Monday, July 21, 2014 at 12:00pm. Follow Theatre Under the Stars (“TUTS”) on Facebook and Twitter for more information. Update The winner is Nikki! This would be an awesome way to celebrate my birthday! TUTS sounds like a great way to spend the evening – on my summer bucket list! Would love to take my mum! What a cute pooch, love to see the show. Seems like a great date night idea, would love to go! Would love to take my wife. Hope I win. Please enter me into the contest. Sounds like a lot of fun! Can’t wait to see the Legally Blonde musical! This sounds like a fun night. I have never been to Theatre Under the Stars and have always wanted to go. So proud to be born and raised in this beautiful city! Would love for this to be my first theatre under the stars! This would be a nice evening out! Omigod!!! Omigod you guys! Looks like this girl wanna enjoy some Legally Blonde! Sounds like a fun girlfriend night out! this would be awesome! date night! I’d love to see this. A great date night! Nothing better than watching theatre under the stars! I’ve never been to TUTS… I’d love to go! I haven’t been to Theatre Under the Stars or seen Legally Blonde so this would be a great prize to win! Oh please, oh please, oh please!!! Loved the movie and I haven’t seen a musical in so long. This would be great! love to see Legally B. with my daughter who arrives this week from Toronto. Love to see this with my blonde daughters. So much fun. Sounds like a good time for a date with the wife. It’s been years since I went to TUTS. I would love to go again! I’d love to take my mom to this! I def want to see this! Would love to watch Legally Blonde! I’ve never been to TUTS but always wanted to go! I keep meaning to go but always miss my chance. Would love to go see this show! I don’t mind watching this show. Ohhhh this would be amazing!! ive never been to TUTS..pick me pick me! This sounds like it will be a great evening! Bend and snap! Yay free tickets! What a perfect way to spend a summer evening! This makes me want a hot dog real bad. I would love to see the TUTS show! How fun! I love outdoor events in the summer! This would be a great way to spend a summer evening. Would love to see Legally Blonde! Have seen the movie a few times, would love to see it. Reese Witherspoon was great in the movie version. This looks like a lot of fun. I saw it last year and would love it see it again. Would love to win for my family. Would love to see this musical. Loved the movie. After three years it’s high time I check out this event! Enjoyed this movie and would love watching this translated into a play! Haven’t been to TUTS for years! Would love to go this year! Would be a great date night! Never been to TUTS. On my Vancouver Bucket List. What a nice way to treat my mom visiting from Nova Scotia! Made plans with friends to finally check out TUTS this year! This could be the highlight of my summer!